The BJP took a dig at the Congress Tuesday as it posted a video of Pakistan's foreign minister Shah Mehmood Qureshi purportedly saying there are differences among political parties in India over the government's claim of killing a large numbers of terrorists in the air strike in his country. "Congratulations Congress. This endorsement from Pakistan will truly make you proud!" the BJP tweeted. It tagged a video in which Qureshi is seen saying in an interview that in the joint session of parliament in Pakistan all leaders irrespective of their differences said they are one for their country. Differences can be seen in India and the Congress is now raising a lot of questions about the government's claim of destroying terror camps and killing a large number of terrorists, he is heard saying. "Pakistan's foreign affairs minister is happy. All parties in Pakistan are standing together. In India, the Congress is seeking proof from armed forces," the message posted by the BJP said. The BJP has accused the Congress of speaking the language of Pakistan and lowering the morale of security forces by seeking evidence of casualties among terrorists. The Congress and several other opposition parties have accused the BJP of politicising the sacrifices of armed forces. The Congress has praised the Indian Air Force for its air strike but asked the government to give proof of the number of terrorists killed in the IAF strike in Balakot. Official sources here have put the death toll at 300-350. 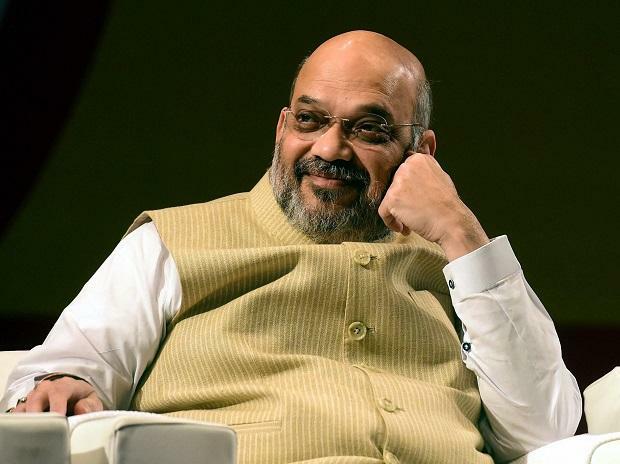 BJP president Amit Shah has said that 250 terrorists were killed in the air strike.